Located in the northeastern corner of Nocatee, The Crossings joins the distinctive communities of Twenty Mile. Residents enjoy the "Old Florida" style of the neighborhood with split-rail fencing and large oak trees. You'll be able to select from a variety of floor plans to build your dream home in this exclusive community. Providence Homes, David Weekly Homes, Dostie Homes, and CalAtlantic Homes are all builders in The Crossings at Twenty Mile, so you'll have plenty of choices in this community. 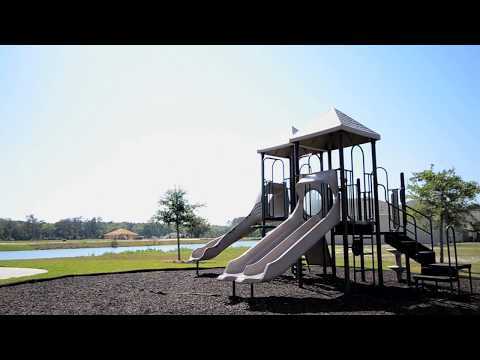 Residents will be able to enjoy the 'Twenty Mile Post', a park open to Nocatee residents that features a dog park, playground, pavilion, nature trail, and a sports field. Homes in this neighborhood range from approximately 1,500 to 3,200 square feet, with 3 to 5 bedrooms and 2 to 3 car garages, and begin in the mid $200s. Contact us today to schedule a private tour of The Crossings at Twenty Mile.